As the products are products using natural processes, there are no clinical side effects and hence are safe to use. We have state-of-the-art manufacturing facilities. Manufacturing is the backbone of our supply chain. We continually strive for excellence in infrastructure and technology. We have successfully implemented automation to improve quality compliance and productivity. We have rich experience in timely filings of regulatory dossiers with leading regulatory authorities. Our qualified team is prompt in handling regulatory queries from both authorities and customers effectively and efficiently. Shilajit is a pale-brown to blackish-brown pitch or tar that exudes from layers of rocks in several mountain ranges of the world, especially the Himalayan and Hindukush ranges of the Indian subcontinent. 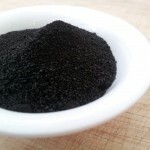 Shilajit is microbially digested plant and mineral matter that has been incubated and pressurized for tens of thousands to millions of years through seismic and geological shifts. These are the primary crude drugs substance not for direct use until further treatment by Ayurvedic drug industries. Copyright © 2014 SDRShilajit.com. All rights reserved.